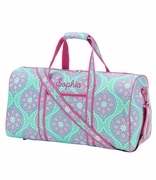 Monogram getaway duffle Bag. The classic denim color tone on this bag sets it up for great gift for a man with style. Pack up for a great weekend away, a day to be spent in the country relaxing or a fun drive to a new getaway. Our denim duffle bag is classically styled with contrasting brown trim on the handles and zippers. Can be used as an over your shoulder for a casual look or carry it using the top handles. The main compartment is spacious and a zipped front pocket allows extra storage for those smaller items that you need to have easily accessible. 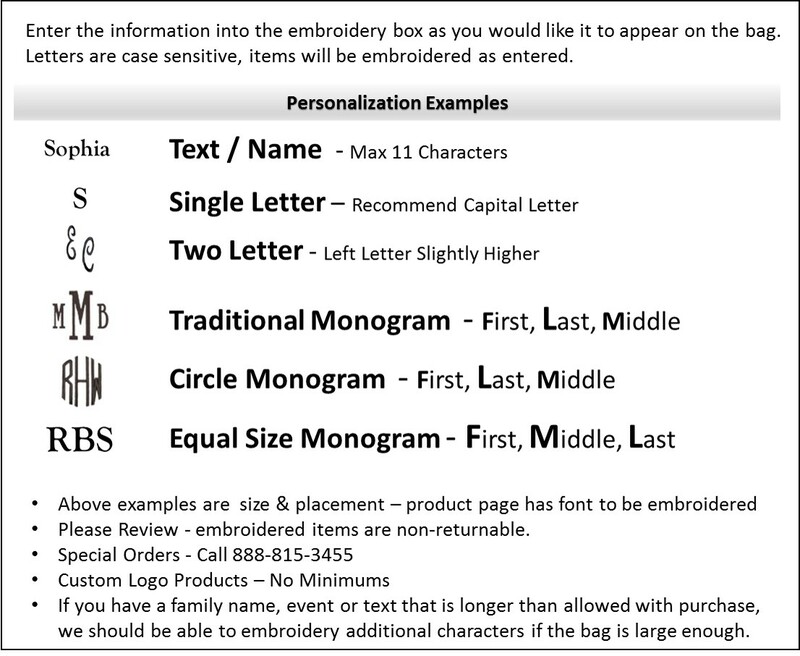 Embroider your initials with our new accent monogram. This unisex bag measures 23"W x 14"H x 11" across bottom. Inside zip wall pocket with removable shoulder strap. NOTE.. ACCENT MONOGRAM IS APPROXIMATELY 1 3/4" AND IS PLACED ABOVE THE POCKET AT THE TOP OF THE TOTE BETWEEN THE HANDLES.